Headphones have been one of mankind’s best friends for many years. The whole idea behind headphones is to allow you to be alone with your music wherever you go wearing them. This allows you to listen to music without causing any disturbance to people around you or getting disturbed yourself in public places, at home and even when going for a run. However, one thing about headphones that’s been constantly bugging music listeners all these years is the fact that in some situations, the dangling headphone cables become a nuisance. This is especially troublesome for those who engage in activities that involve them moving around a lot since headphone wires tend to get caught on a door handle or a table at some point. Such routine inconveniences have given way to the popularity of wireless headphones that allow you to enjoy your music without restricting your movement or putting you through the ordeal of spending all that time un-tangling your headphones before you can wear them. A few years back, wireless headphones were notorious for having a compromised sound quality due to the compressed Bluetooth data signals. However, this is hardly the case anymore with the kind of wireless headphones you get these days; they may not have achieved the sound performance that audiophiles ask for yet, but they don’t sound bad by any means and are great for those of us who just want to be able to do some work and not worry about adjusting the headphone cable again and again. 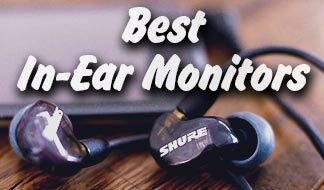 In this list we have many different wireless headphones and earbuds for you that we’ve tested for durability, comfort and sound performance (some of them even sound great). Now lets get on with the review and take a look at them. There’s no scarcity of wireless headphones in the market that claim to be sports models but only a few of them manage to not fall short on the promises they make. The Plantronics BackBeat Fit is an exception to that rule, albeit still not entirely perfect. The Fit come in two striking colors: Blue/Lime green, are lightweight and not bad looking by any means. Design wise, One of the features that stood out to us was that these are sweat proof, which is great news for those of us who take their work-out with their music, also these actually allow you to be aware of your surroundings. 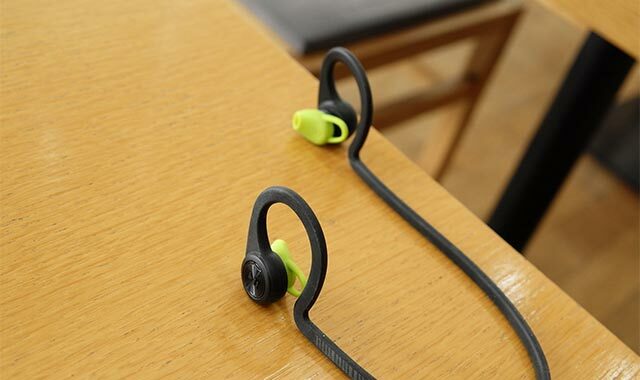 The other feature we liked was that the buds get hooked into your ear very comfortably and securely but don’t block out all the noise from your surroundings, this may seem like a case of poor noise cancelling to some but this way you can be more aware of your surroundings while on a run. We think it’s good thinking on Plantronics’ part. The sound quality is good and despite the fact that they let in background noise, you can still comfortably hear the lows, mids and highs fairly well. 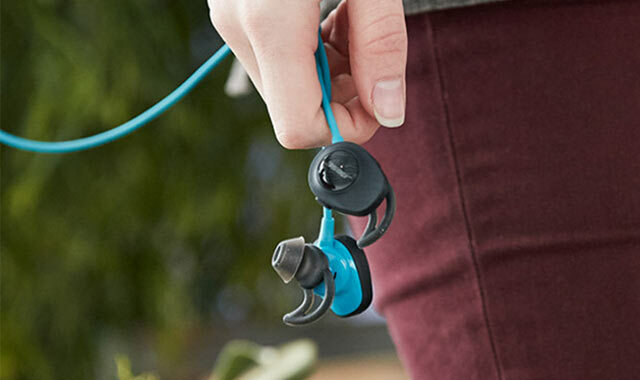 The BackBeat Fit also has an integrated microphone that makes it double as a Bluetooth headset as well. Overall, the BackBeat Fit are not exactly perfect but they’re among the best wireless headphones in the sports category. Around 80 Dollars, we believe that they’re fairly priced and the fact that they include an armband case for your smartphone that stores the headphones as well means a good value for money. The MDR XB650BT is designed and engineered to cater to bass lovers. And when we say bass we mean a whole lot of thunderous bass. 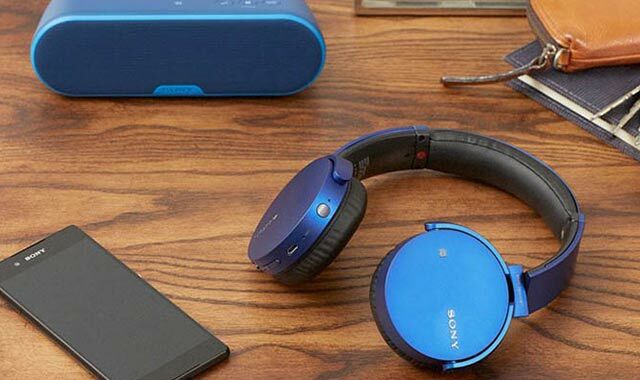 Since all headphones from Sony’s XB (extra bass) line up are made for massive bass response, it only follows that there shouldn’t be any kind of distortion at high volumes. Good news is that when we were testing the XB650BT at peak volumes, everything was clear and there was absolutely no sound breakage which is impressive considering that these are wireless headphones at the end of the day. The bass response may be the main aspect that these headphones revolve around but that isn’t all they do. The fact that the XB650BT is capable of delivering clear highs over all that bass is what makes them great in terms of performance. However, we might add that the sound of the XB650BT doesn’t sit too well with purists. So if there’s a thing such as too much bass in your dictionary, these headphones may not be the best choice for you. In terms of design, they are well-built and boast the minimalistic Sony look. The headphones sit over your ears rather comfortably and securely but since these are over ear headphones, (maybe) you’re better off not going for your morning jog with them. The XB650BT are fairly priced around 100 bucks but we do think that they’d offer better value if Sony was nice enough to have provided us with some kind of a protective pouch to carry these. It is said that deep bass and working out go hand in hand. Bose based their SoundSport Wireless headphones on that notion. 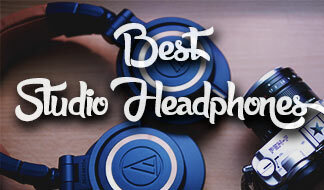 There are quite a few things that we really liked about these headphones but we do wish we got a little bit more, too. In terms of design, these headphones look dazzling and they feel pretty premium to hold as well. The earbuds themselves sit in your ears nice and secure and to add extra stability, there’s that hook/fin that you find on most Bose earphones that maximize the grip. When shopping for headphones that you’ll be using while working up a sweat, you’ve got to make sure that they’re not prone to getting damaged by moisture, in addition to having a secure grip. The SoundSport Wireless are water resistant so you don’t have to worry about water-damaging them. In terms of performance, you hear an intense bass response and clear highs, just the kind of powerful sound that one wants to hear while working out. You can expect to get 6 hours of playback on a single charge but this may vary depending on how loud the music you’re listening to is. There really isn’t much to complain about with the SoundSport except the comparatively high asking price of about 150 bucks and maybe the fact that the Micro USB cable that comes with them could’ve been longer. But if you like, you can get a wireless charger for these for another 50 dollars. 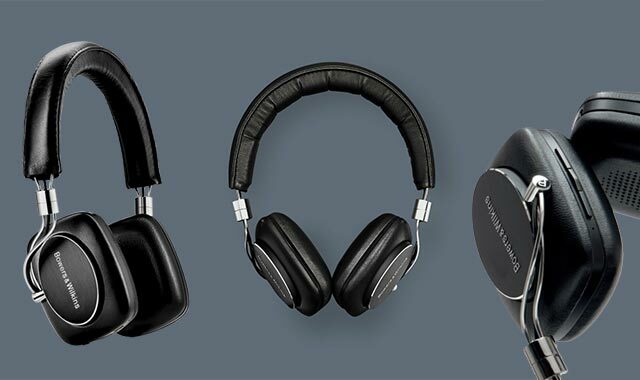 In terms of design and aesthetics; If there are two things that all over-ear headphones should be, they should be comfortable to wear and look good enough for the wearer to feel confident while having them on in public. The Jabra Move Wireless were built keeping these two rules in mind. These headphones have a sleek and aerodynamic design but they don’t go overboard with the design either. Additionally, we found the Move Wireless to be very comfortable to wear; the pads sit nice and easy on your ears and your ears stay ventilated. Unless you’re in an exceptionally hot environment, you won’t have to worry about excessive sweat. Moving on to how they sound, the Move Wireless impressed us with its exceptionally deep bass response but even though the highs and mid are clear, we do feel that these headphones focus primarily on bass and hence they might not be to the liking of purists who want a flatter sound. Putting it plainly, the Move Wireless are comfortable wireless headphones with exceptional Bluetooth audio performance, if not a little too focused on bass. For about a hundred bucks, they’re better headphones than what we expected but they’re a bit lacking in the accessories department. But since these headphones come with a detachable cable for wired listening, we consider that they provide great value. Bowers & Wilkins has always been deeply rooted in the audiophile side of things, an attribute that is shared by all B&W speakers and headphones including the P5 Wireless, which is more or less designed to cater to more mainstream buyers. Getting right into it, the P5 wireless are expensive, well-built headphones that can bring the most out of your 320kbps audio files. We’re extremely satisfied with the built quality of these headphones. they have an outlook that just screams premium to any onlooker and the leather ear pads are designed to shut out external noise and subject the listener to their remarkable sound. They also have an integrated microphone that allows you to make calls. The sound performance of the P5 is exactly what we expect from B&W – well balanced and powerful. The sound on these headphones is so good that it’s hard to believe that these are actually wireless. We loved the very present mids and the incredibly bright highs. Unless you’re used to premium sound quality, you’ll hear a lot of things in your most favorite of songs that you didn’t know were even there before. The P5 are performers that break the stereotype that wireless headphones sound compromised but to our dismay, we did manage to find a few flaws in the comfort department: The sound isolating ear pads leave little room for fresh air to enter your ears and as a result you’ll have steamy ears unless you’re in a cold environment. Last year, the Jaybird X2 took the market for wireless sports headphones by storm due to its stellar sound performance. 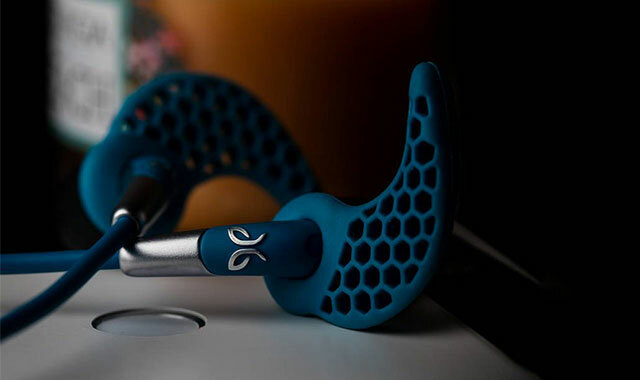 The new Jaybird Freedom, however, focus on design more than anything else. The freedom are claimed by Jaybird to be the smallest wireless earbuds ever designed. Not only are the Freedom remarkably compact but they are also very stylish and even waterproof, which is great news for gym goers. However, when it comes to performance, they will most certainly let many gym goers down as well. While they do sound pretty good, these headphones simply lack the kind of powerful bass response that we all like to hear while working out. Since these are essentially sports headphones, we feel that this has to be some kind of a mistake and not one that we can easily overlook either. Another thing we noted was how one has to spend quite a bit of time and effort to personalize the earbuds to their best fit. There’s a ton of accessories to choose from but you’ll still have to try on a number of ear tips and fins before you can wear them the best, which is essential but frustrating to those of us who just want to enjoy our headphones without the initial set up hassle. The Freedom headphones by Jaybird are most certainly innovative but their lack of a decent set of bass drivers is a turn-off for many listeners. The Momentum Wireless (AKA Momentum 2.0 wireless) is the next generation model of the critically acclaimed Momentum series from Sennheiser. These wireless headphones are among the best we’ve seen in terms of design, comfort and sound performance. But we might as well just mention this right now, the Momentum 2.0 are just as expensive (about 500 dollars a pop). Everything about the way these things are designed screams premium; they’re well-built and we found them to be far more comfortable than the outgoing Momentum model, they even have larger ear cups. Another handy design feature that we liked was the fact that you can fold these headphones to half their size, making them easier to store away in their included protective pouch. Moving on to performance, the Momentum 2.0 are capable of the stellar sound performance that you’d only expect to hear from studio headphones. The sound is so accurate across all the ranges that it’s really hard to believe that they’re playing wirelessly. Though, you also get the option of wired use by plugging in the detachable cable, which is great news for those of us who want to save battery and use them the old fashioned way as well. These headphones also have dual integrated microphones so if you want to use them while online gaming, you most certainly can. The last wireless headphones that we’ll talk about are the Bose QuietComfort 35. 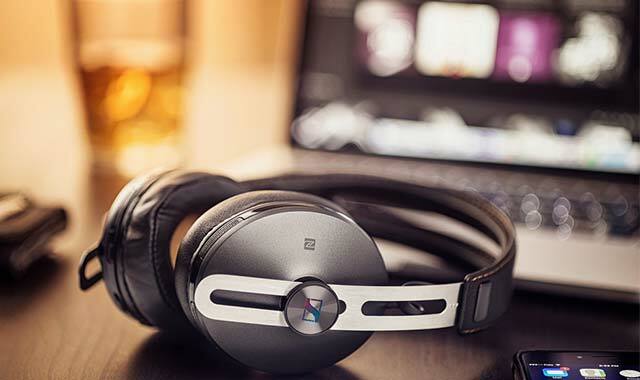 Ever since these headphones first became available, they’ve been winning editor’s choice titles everywhere. After spending a few weeks testing them, we can confirm this much: We’ve never heard such great active noise-cancellation on wireless headphones. 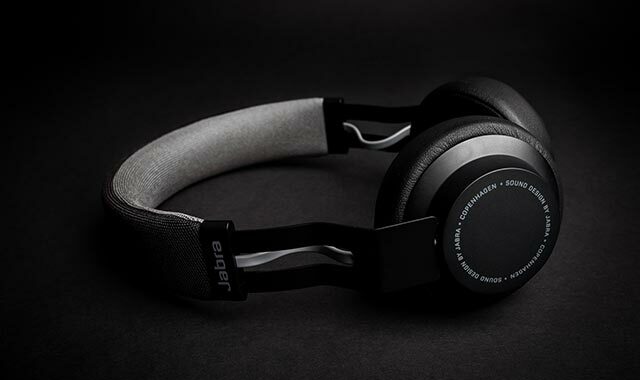 Not only do they block out external noise almost entirely but they’re also among the most comfortable headphones we’ve ever had the pleasure of placing over our ears. You can listen to music on these for hours and your ears won’t feel like they’re burning up. Overall, the design is very premium and the fact that you can fold these headphones is great news for those of us who like to carry our headphones with us. The QC 35 also supports wired playing and comes with a 47 inch detachable cable right out-of-the-box. The wired sound Performance is just as great as the wired QC 25 model. Although, we do wish that the QC 35 weren’t heavier than the QC 25. Moving on to sound Performance, these headphones sound just as great as the Sennheiser Momentum 2.0 we just talked about, if not made better by the remarkable sound cancellation. 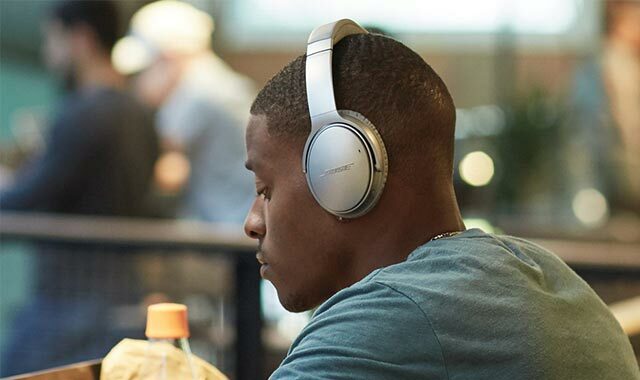 The QC 35 have an option to switch off active noise cancellation to save battery AND they are significantly cheaper than the Momentum 2.0 wireless. One of the things we like about these is that even if the battery runs low, you can always plug in that cable and go wired. Now to quickly sum up, we’ve looked at some of the top-notch Wireless headphones and earbuds that you can buy. All of them sound good and some even sound great due to added features (like noise cancellation or options of attaching a wire whenever you feel like it). At the end of the day, you should look for functionality as much as sound performance when going wireless. You’re looking for headphones that you can easily listen to for quite some time whether you’re in the gym or out taking a walk. Keep these pointers in mind and you’ll find the wireless headphones that are best for your lifestyle. I am an IT Guy with 15 years experience of Professionally Reviewing Smartphones, Laptops, Audio Equipment and other weird Latest Tech Gizmo.